A few key updates, we have decided to re-open this filly for more people to join. Because the yearling has progressed to a 2 YO, the price has changed and increased. You can look in the similar way that a company may appreciate. 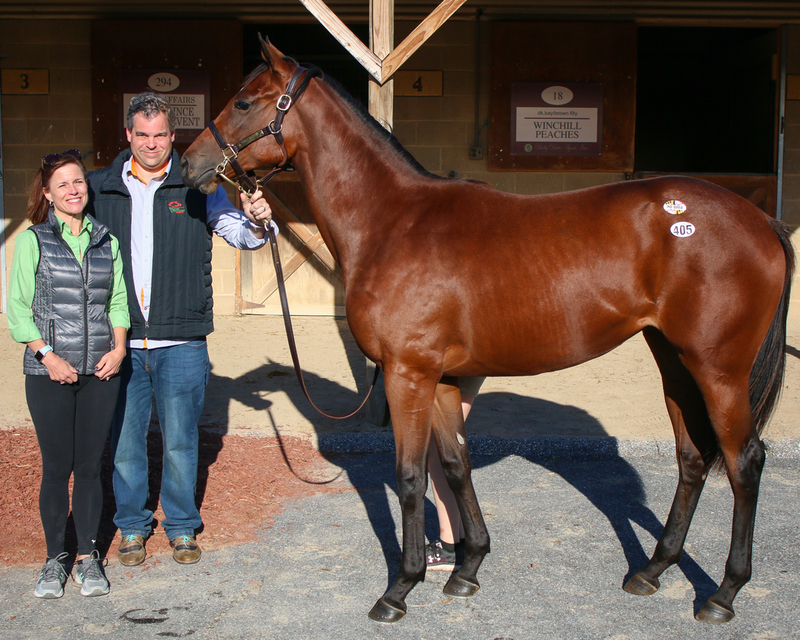 Considering all of the progress of this promising filly, who now has a name of Old Lin Magic, we have set the price at $40,000 as of 2/26/18. You can read the note below about the original transaction and pricing. Like all of our programs, we are protecting Club members from any downside and we are only rolling 6 months of estimated expenses into the cost of the acquisition. By rolling into the initial offering the first 6 months of training costs we hope to make this opportunity available to everyone. Why Did We Buy Her? This filly comes from the family Ah Day and Ben's Cat. Top flight runner's that are Mid-Atlantic legends. 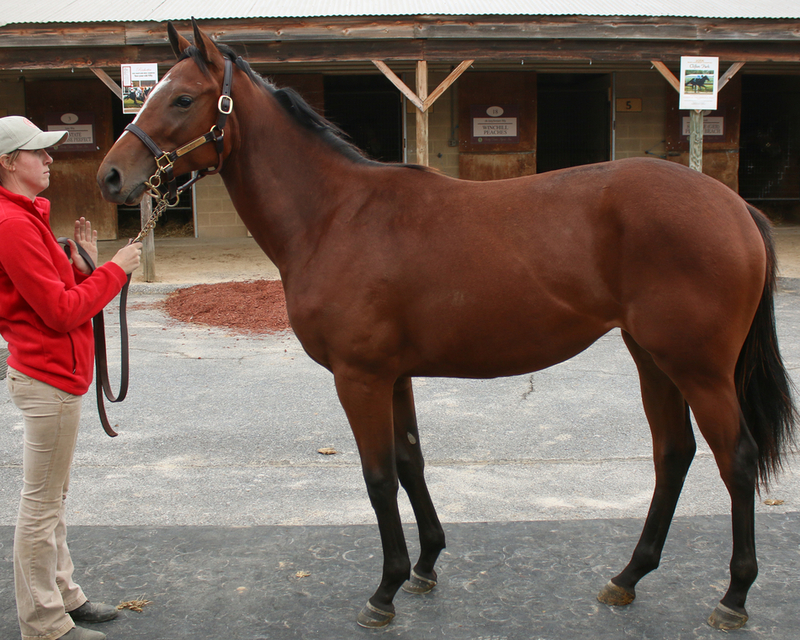 She is a Street Magician filly, so that means it is MD-Million sired and MD-bred. This qualifies us for MAXIMUM bonuses. 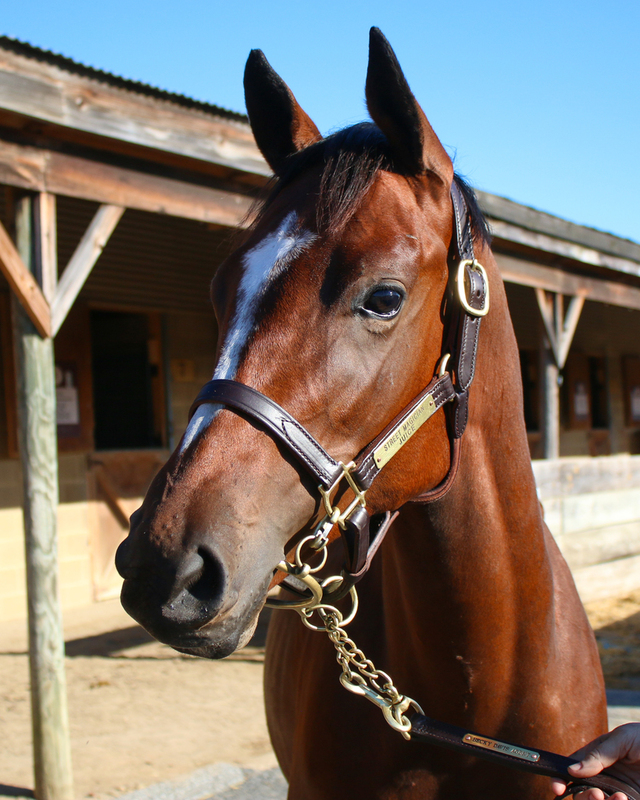 In addition, we have shipped her to be broke and trained for the next 6 months at a Virginia-certified farm. This means that we also qualify for a 25% bonus at ALL MID-ATLANTIC tracks. The horse had a great conformation with an evenly balanced body and straight, clean walk. Old Line Magic is sired by Street Magician, who stands at stud in Maryland after scoring his biggest racetrack success here in Pimlico's Grade 3 Hirsch Jacobs Stakes. He won two other stakes races from a total of five wins in ten starts, those victories coming from 5 furlongs to 7 furlongs, on dirt and all-weather. In just four crops of racing age, Street Magician has sired the stakes winners Rockin Jojo, My Magician, and Do What I Say. Street Magician is a son of Street Cry, who was the sire of Kentucky Derby winner Street Sense (now a leading sire himself), and of Grade 1 winner Street Boss (sire of Maryland-bred Kentucky Oaks winner Cathryn Sophia). Old Line Magic's dam, Juice, is a daughter of the A.P. Indy stallion Crowd Pleaser, and Juice is therefor a three-quarter sister to the Grade 3, eight-time stakes winner of 14 races and just shy of $1 million, Ah Day (who also placed in a Grade 1 race and a pair of Grade 2s), and a half-sister to the stakes winner of $359,160, Due. Juice's dam is a half-sister to Grade 2, eight-time stakes winner Thirty Eight Go Go, to Grade 3 winner Notches Trace (herself the dam of stakes winner Jive Talker), and to the stakes-placed Twofox, who is better known as the dam of Maryland legend Ben's Cat, a four-time Grade 3 winner, 26-time stakes winner, and 32-time winner of $2.6 million. Given these family lines, Old Line Magic looks likely to be best suited as a sprinter who might stretch to a mile, and she ought to be able to handle both turf and dirt. Though there are some family members who have had early success, the hallmark of this family is that they can stay sound and successful for a long time. UPDATE ON 10/6/17 - Woodberry Payne (our trainer) has reported that she is already taking bit training. UPDATE on 10/25/17 - Woodberry reports that the horse has begun to be shed. This means that a rider will ride her around the barn area. UPDATE on 10/31/17 - Anyone that becomes a part of this yearling will have a vote in the naming of her. For each .5% you own you get 1 vote on the name selection from the three final name choices. UPDATE on 11/23/17 - Filly continues to progress and move forward. All signs good. UPDATE on 12/16/17 - Spoke to Woodberry Payne this morning. He said the filly is muscling up nicely and is training superbly. UPDATE on 1/18/18 - She has a name! She is now Old Line Magic! UPDATE on 2/25/18 - She is progressing well. Regularly working and progressing towards her move to the track. Filling out and gaining muscle. Just spoke to Woodberry Payne and he had nothing but glowing stuff to talk about with our filly. She really is the queen of the group he has (about 2 YOs). She is getting big and really filling out. 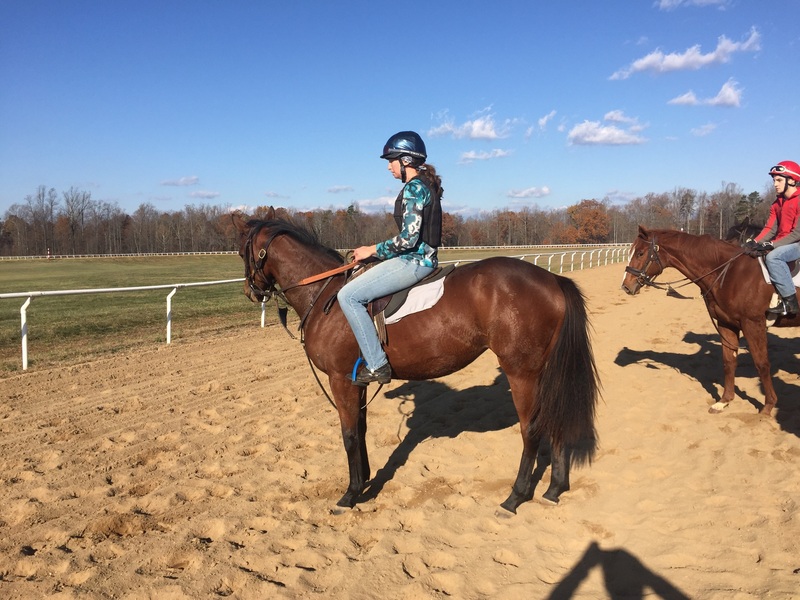 The expectation is that she will be about August when she heads to the track. We are taking our time as we think we have something special here. 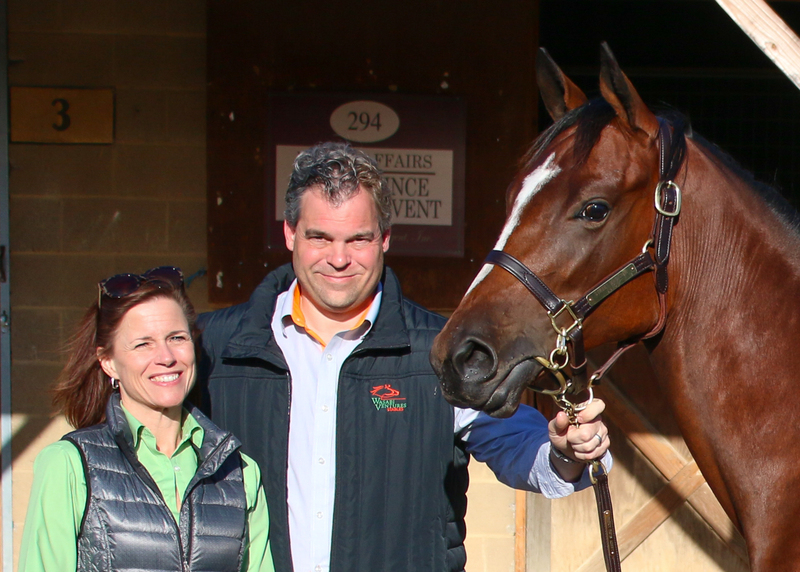 Spoke to Woodberry today and the horse's knees are all closed up (good news). Training to get to the track starts in a week!